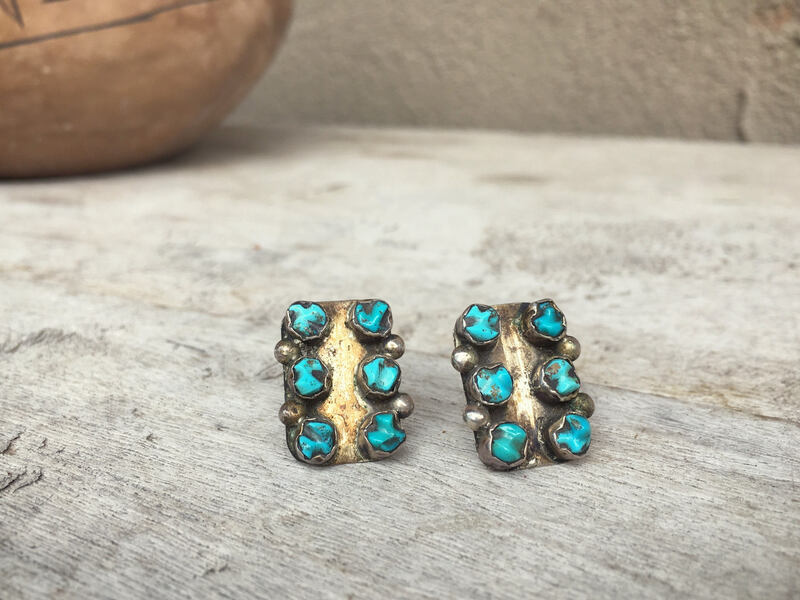 Here we have a fabulous pair of Old Pawn Native American screw-back earrings, made in the Zuni snake eye tradition. 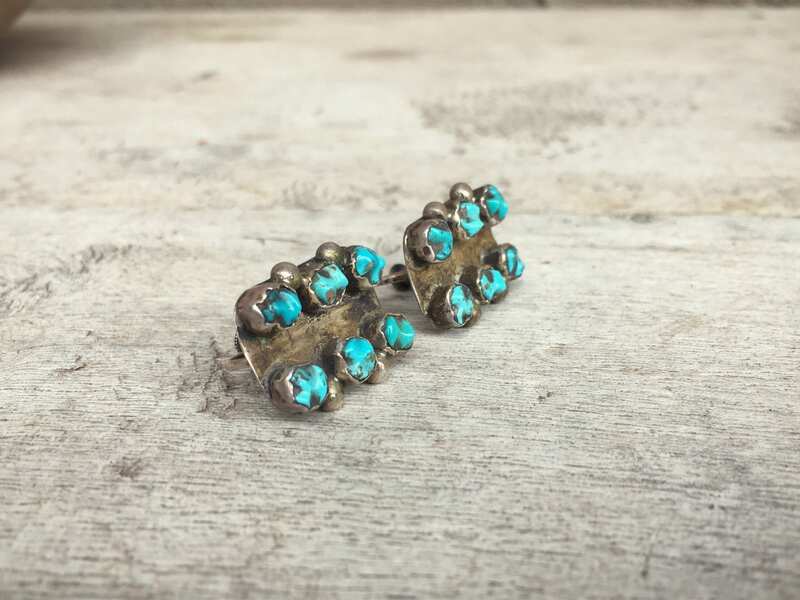 What about these earrings tells us they are special? First, their screw-back style speaks to the age--which I'm estimating to be circa 1940s yet could be earlier. 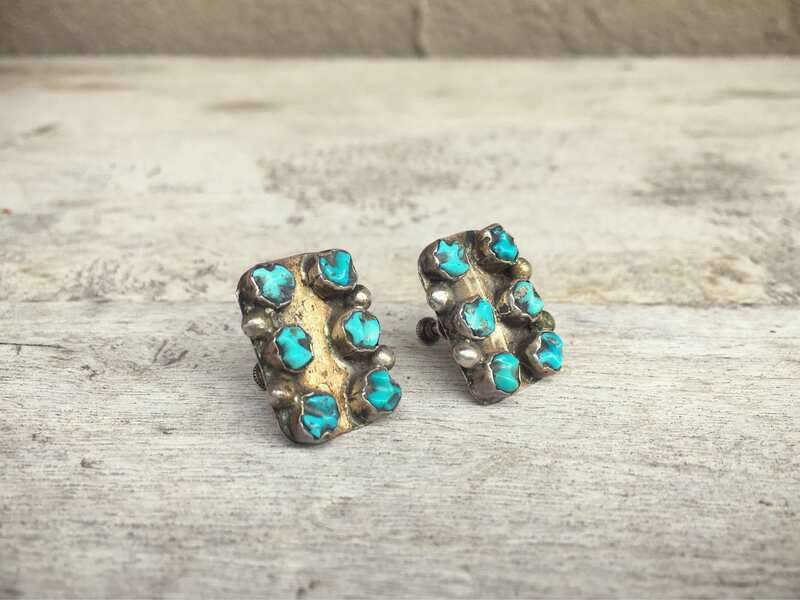 The cabochons of turquoise are natural with black matrix, the meaty raw-cut chunks common in "old pawn" pieces. 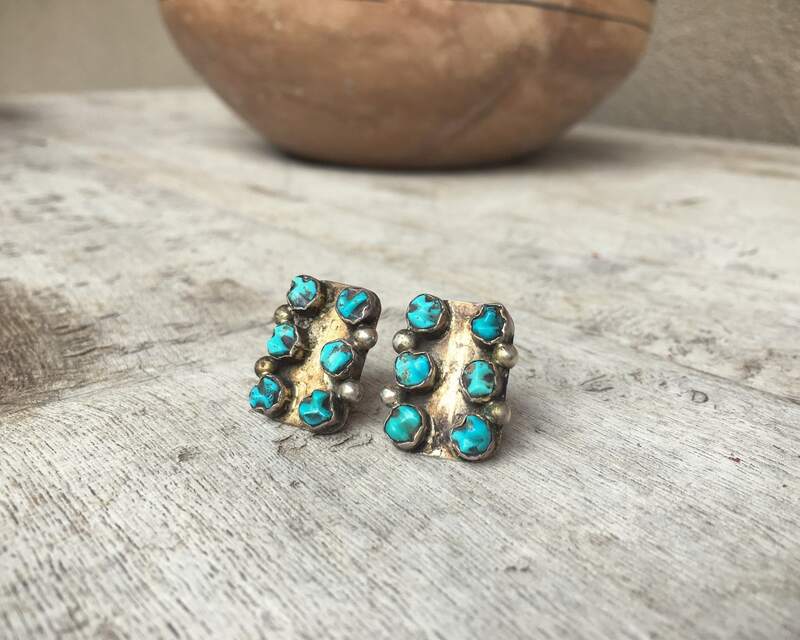 The turquoise is set in round bezels called "snake eyes," a class Zuni setting. 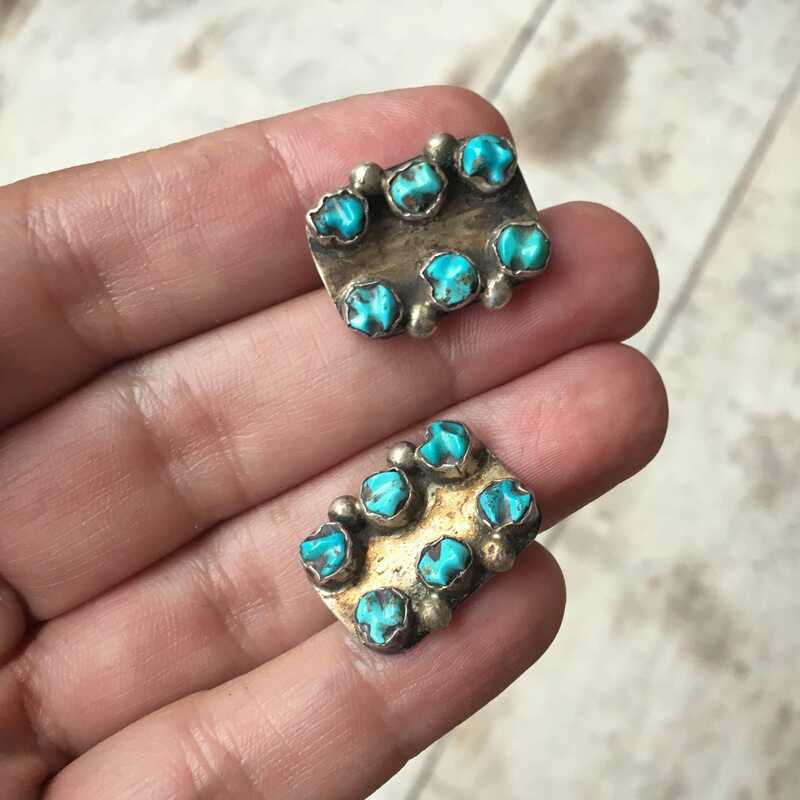 Each earrings measures just over 5/8" wide by 7/8" long, and each of the six turquoise cabs is about 3/16" in diameter, slightly more or less being that they are hand cut. Some scratches on the sterling silver bezel face. 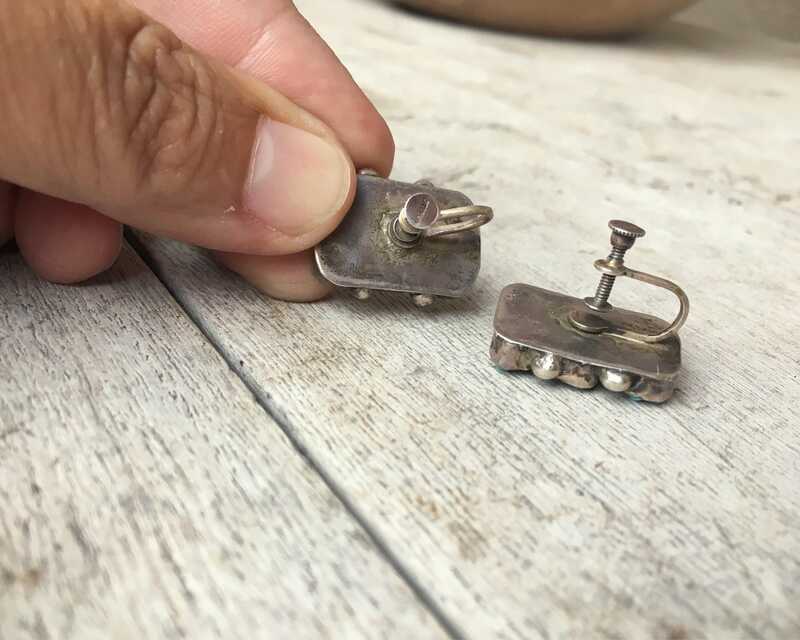 The screw-back can be removed and replaced with a post. If you are interested in having this done, please convo me for a price quote. Amazing piece of a vanishing history. 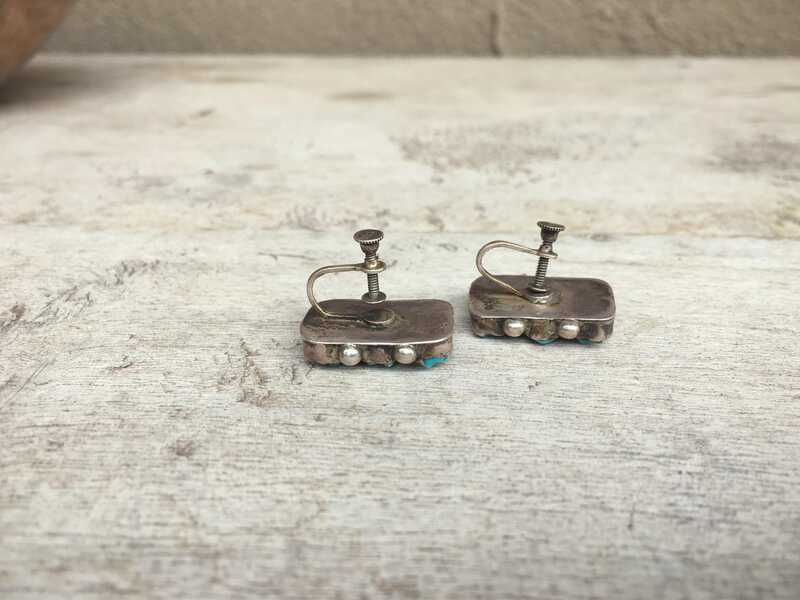 NOTE: These can be converted to dangle earrings with French hook at top, or to posts, for a fee of $28. If you are interested in having them modified, please convo to let me know, or call (505) 369-6865. Will return your call as soon as possible.